Amid the wait that AMD’s HD 7990’s future to surface seems grim, PowerColor set out to come up with the Radeon HD 7970 X2 with this time details about the GPU itself as well as some proper photos of the graphics card have been teased online. The card features PowerColor’s Vortex III cooling solution that looks something more of focused on stealth with a red and black color combination. 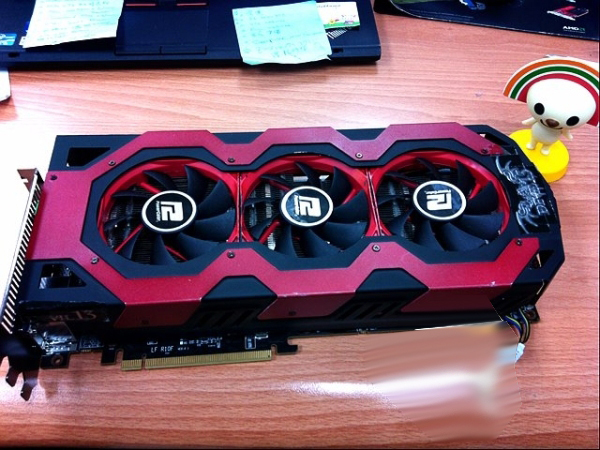 The card is originally called the Radeon HD 7970 X2 Devil13. The card being a dual GPU graphics card features a custom PCB with two 28 nm Tahiti GPUs running in a CrossFireX configuration. All components on the cores have been enabled and comes with 6GB of GDDR5 memory that is 3GB each across a 384 bit interface. 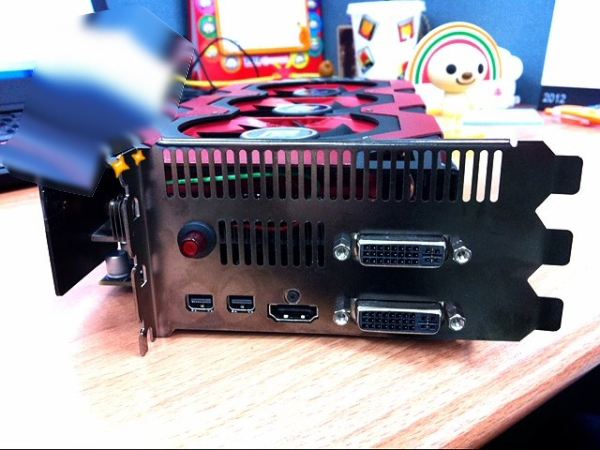 The card comes with three 8 pin power connectors with the TDP rated at 525W. This card will be on display on Computex in Taipei next weekend where further details are expected.